Fitzrovia is a gem of an area sitting between Tottenham Court Road, Goodge Street and Great Portland Street. With restaurants and bars to suit all budgets it is an ideal location to go to for a date in London. 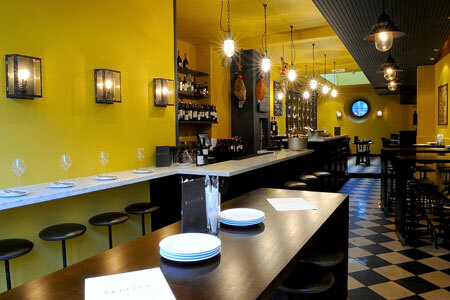 Barrica is a stylish and authentic Spanish tapas bar that sits close to the centre of Fitzrovia on Goodge Street. Recommended by a friend as serving the finest white Rioja ever – I knew I had to sample its delights. 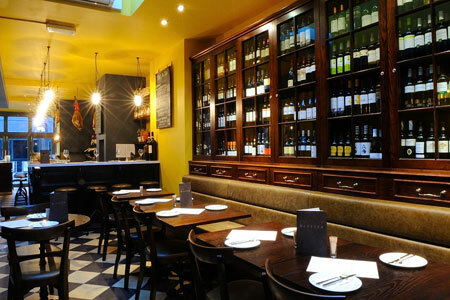 It serves up some damn fine food, wine and sherry and who doesn’t like tapas? You can’t go wrong with this stunning little restaurant. I visited Barrica on a double date, meeting the other couple next door in “The One Tun”, a friendly pub with vibrant Saturday night buzz. When we arrived at Barrica, the aroma of warm sherry welcomed us in from the cold. Seated on surprisingly comfortable high stools we began our feast with bread, olives and Padron Peppers whilst we browsed the menu and wine list. The peppers were warm and coated in salt and we unanimously opted for another portion as soon as the bowl was nearing empty – did I say salt on the peppers? I meant crack! The menu is not that large but offers a good range of meat, fish and vegetarian tapas. Being a foursome, we ordered a hearty selection – nearly every dish in fact. The staff timed the serving of the dishes perfectly, so the table was never too overcrowded and we were never rushed to guzzle the treats. With so many dishes to list, the highlights were definitely; Patatas Bravas, well-seasoned and a good sized portion. Carrilleras, these braised veal cheeks with Pedro Ximenez were a winner for the whole table; we would happily have had a dish each. The ‘melt in the mouth’ meat in rich gravy with creamy mash made all of us swoon. The Cerdo flat bread with a pork burger and Jerusalem artichoke was far tastier than we expected it to be and the Croquetas de Jamon were ridiculously addictive! To be honest, all the dishes were excellent, none were greasy or over oily as some tapas can be. The quality was exceptional, as was the service. The staff were friendly and happy to explain all the dishes even with some language barriers, their collective demeanour was charming and warm and we were well looked after the entire evening. Once we’d finished our bottle of wine we decided it would be silly of us not to indulge in some sherry. The helpful staff allowed us to taste some until we found the perfect one for us, a rich and sweet little number called Matusalem Sweet Oloroso – similar to a dessert wine. 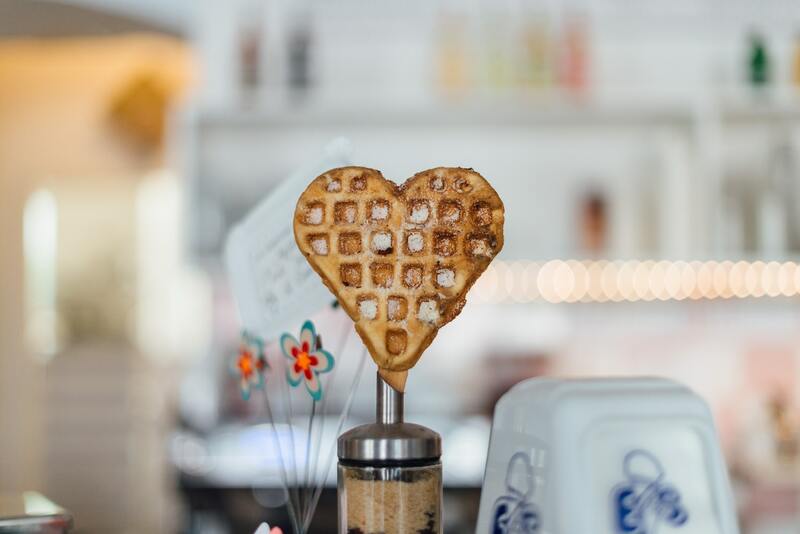 Barrica is a popular restaurant (and we found out why) so be sure to book! 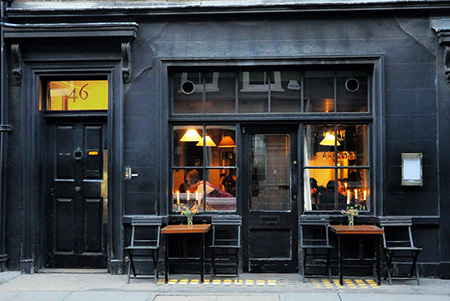 The owner of Barrica also owns a sherry tavern; Drakes Tabanco, just off of Charlotte Street and the restaurant, Copita in Soho. So if Barrica is full, you can always try there for a table.